You can’t knock Martian Toys for not giving artists their first taste of vinyl production, and they are at it again at DesignerCon! Working with Davemarkart, Martian Toys are about to release their next colourway of the Theodoru KRANYUS this week! 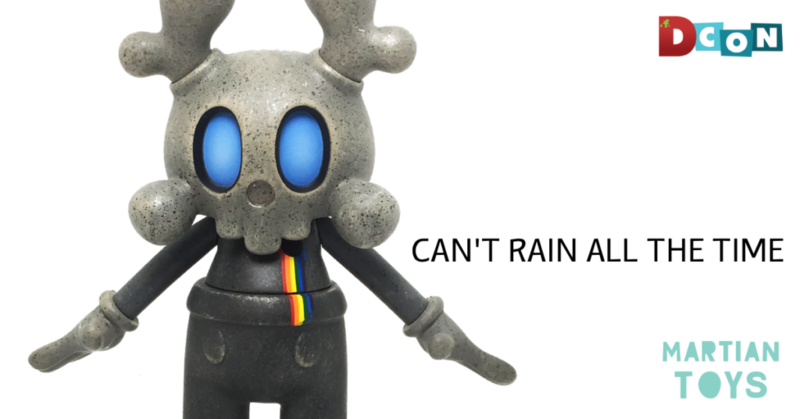 Limited to 150 pieces, and standing 8inches tall with EIGHT points of articulation, you’ll be able to pick up this new Can’t Rain All the Time colourway of KRANYUS from Mothership Art Gallery booth #2324 from Friday 16th at VIP Preview Night, with remaining stock available over the course of the DesignerCon weekend! Congrats to Dave for his first vinyl release, go give him some love on Instagram HERE.